We work with you to build a custom-made solid trailer that's functional and well designed. Titan Engineering develops trailers that are backed by our 2-year manufacturer guarantee. Our trailers are made-to-measure. We work closely with you to develop exactly what you need because it's the little things that make a big difference. We build custom-made trailers from scratch and also alter, repair and service them too. Our qualified staff are on hand to help you every step of the way. To say we are millimeter perfect is an understatement. Our manufacturing process has pinpoint measures and tools to ensure outstanding results. 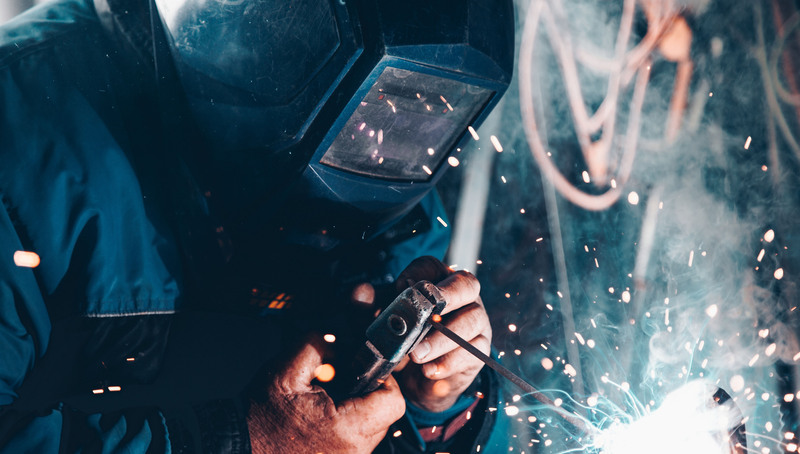 The Titan Engineering team are trained professionals, led by a fitter and turner with over 20 years experience in the industry. We are the only trailer manufacturer in the industry to offer clients a 2-year manufacturing guarantee on all work we perform. Visit our gallery to view our custom-made box trailers, flatbeds, tiny house chassis, tipper trailers and more. Titan Engineering was based on two-generations of metal workers and is now headed up by a trained fitter and turner. With over 50 years of collective industry experience, it has significantly improved its operations to now deliver state-of-the-art techniques. We take pride in our processes and make sure that we do the job right and do it well. The Titan Engineering team are cutting-edge trained pioneers of custom-made trailers. We manufacture a wide range of trailers. Our team custom-make trailers by working to precise drawings, we know the manufacturing process in-depth and complete each construction and offer an amazing powder coat finishes. We can modify existing trailers to tailor their function to your needs and we also repair trailers. Read our latest blogs. Learn how to care for your trailer, find out what’s the best trailer material to use, how much load you can tow, how to best manage your hitching, how to stay safe on the road and loads more. We support charitable organisations like the Jamieson CFA. Looking for a custom-made trailer? 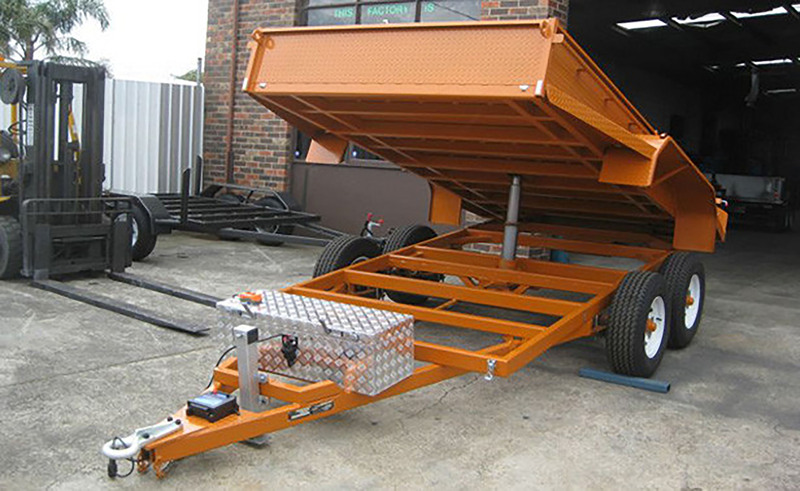 Titan Engineering has a trained team of custom-made builders of trailers. We work with plant trailers, flatbeds and with individual tradesmen’s needs. Our clients come to us because the design of their trailer isn’t working for them. We build and design trailers so they last the distance and are super strong to take on the loads that you need. Talk to our team about your special project and we will help you turn your idea into a reality. Titan Engineering also back all our trailer designs with a 2-year manufacturer guarantee. 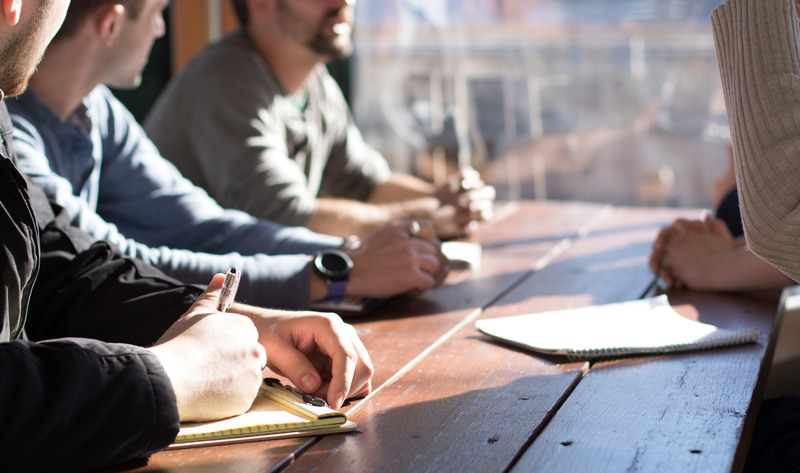 When we meet with our clients we find out what we can do to meet their needs and it helps us work out what kind of trailer is best to meet their needs. Our trailers to meet specific functional requirements and are produced at the highest quality standard exceeding the industry guidelines. Many clients always look for more than the standard trailer. We have a history of tailor-making flatbeds, trailers and more by adding storage boxes for specific kinds of tools, creating cradles for different wheels and many other specific changes to complement an existing trailer. When we design a trailer from scratch we often modify a base design to make just about any type of add-on that you need. Titan Engineering check trailer’s levels of wear and tear. We also let you know fairly quickly if it’s still able to function on road and off the road. We perform servicing and a range of repairs to make sure the trailer or machine is stronger and lasts for longer, than it had previously. Our service and repair team ensure that clients get back on the road safely and with confidence. Our professional staff has specialised skills that we apply to constructing much more than our custom-made trailers. We have made benchtops, steel ute trays, tiny house chassis and motorbike tray trailers.